Haha, no I’m not going to claim that particular infamous illness, but I have been sick since Thursday afternoon. I’ve actually been unwell for almost two weeks, but not doing anything about the initial sickness is probably the reason I’m so bad now. So yeah, it’s my own damn fault! With what was left of my voice, I called my Mum on Saturday to say I wouldn’t make it over on Sunday for dinner. 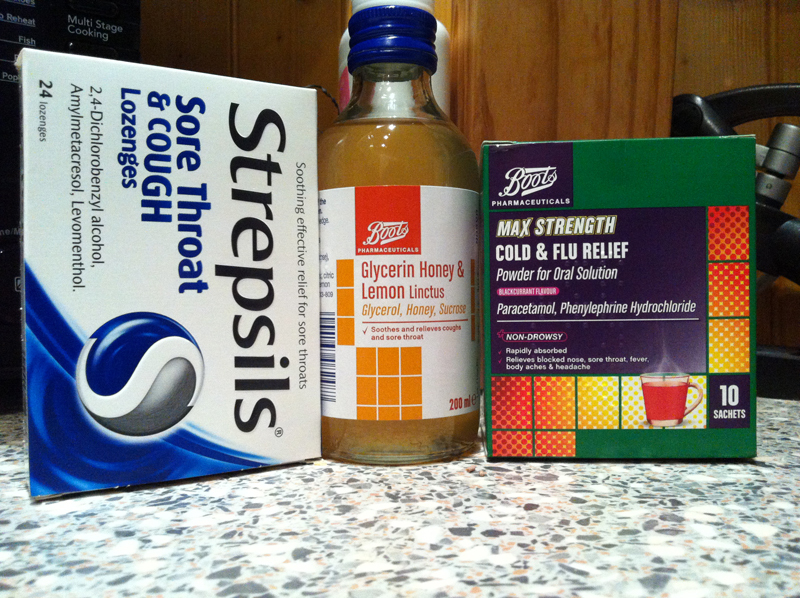 Within a couple of hours she was at my door, carrying a goody bag of medicines from the local pharmacy – God bless her! I was hoping to visit my niece and nephew today too, but I’m not going to take my nasty bugs over to infect them. I’m disappointed about that though, as they are great fun and I love running around and playing with them. So this is very much a sofa and blanket day, although I’m still doing my usual job searches of course. Nothing to report there sadly and even the lady at the Job Centre this morning is puzzled as to why I’m getting nowhere. I felt quit bad for her this morning, having to sit only a few feet away from a sweaty, coughing, gravel-voiced sick person. I suspect I will have infected half the staff by the time my germs drift into their coffee cups and settle onto their desks. Sorry about that.